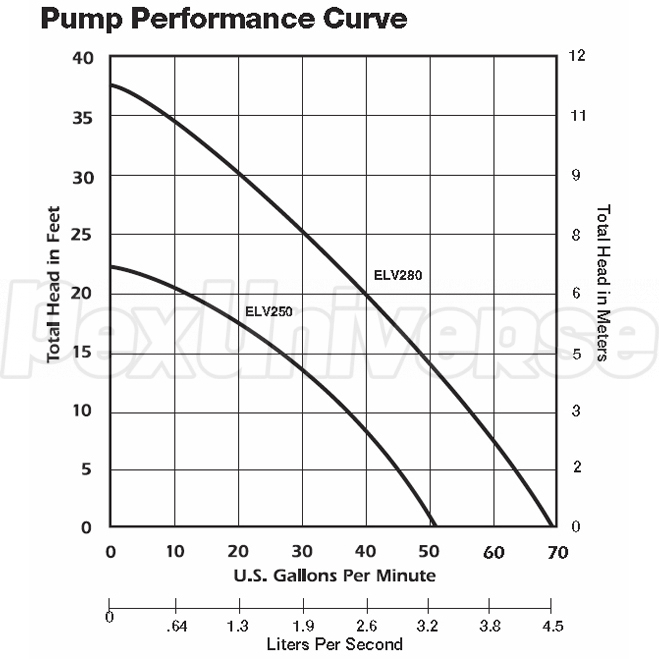 The Liberty Pump ELV 250 is a1/3HP, elevator sump pump with a 25' ft. power cord and 115V capability. The new ELV series features the unique OilTector control, a mechanical float switch and a remote alarm. This elevator sump pump is ideal for elevators, garages, transformer vaults, manufacturing facilities and areas where the discharge of oil/hydrocarbons into the environment is prohibited. The Liberty ELV250 elevator sump pump can handle solids up to 1/2", has a 1-1/2" discharge and a shut-off head of 23'. It can also reach a maximum flow of 45 GPM at 5' of dynamic head. This Liberty sump pump is equipped with an OilTector control system, which is designed and approved for safe operation of pumping, alarming and monitoring of elevator sump pits, transformer vaults and other applications where oil and water must be detected. The OilTector system will activate the Liberty Pump ELV 250 elevator sump pump to remove water from elevator pits in accordance with ASME17.1. The elevator sump pump will provide pumping of only water - even if an oil condition is detected. 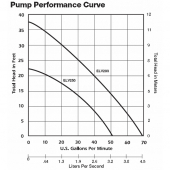 The OilTector cycles the Liberty sump pump only in the water range. Oil and other harmful substances are not discharged into the environment. An alarm is activated in the event of a high water condition or high oil condition. 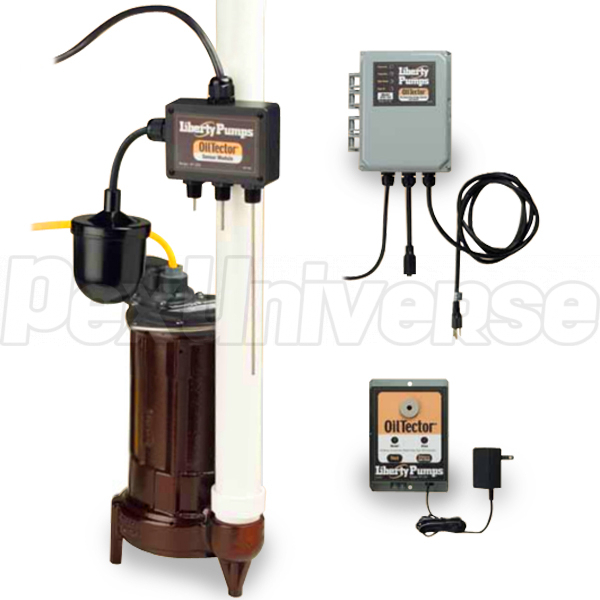 The Liberty ELV250 elevator Sump Pump comes with oil resistant power cords and pump components. Height 8.75" x Width 6.5" x Depth 5"